Too much siege, not enough Alan. 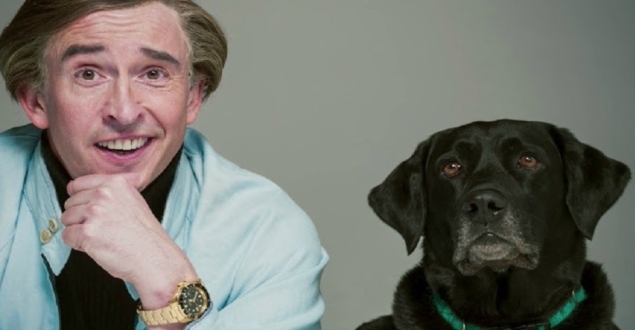 When I first discovered the premise of Alan Partridge: Alpha Papa, which is a siege of the North Norfolk Digital building by a disgruntled former employee, I was concerned that, like many big screen adaptations, Alan Partridge was departing from its humble, unspectacular roots. By half way into the film, my concerns had unfortunately been confirmed. There are gun shots, fire-extinguishers to the face, explosions, armed policeman – it is by no means an action film, but since when was there such commotion in Alan’s life? It was the desperate loneliness, alienation and banality of Alan’s life in the original TV series that made audiences laugh and cringe while pitying and sometimes despising the pathetic central character. When I got home completely deflated after watching Alpha Papa, I reminded myself of just how good Alan could be by watching YouTube clips of the 1997 series. A single five minute scene of Alan attending a funeral captured the essence of the character. The dialogue is so rich, almost every line provided a laugh and I was cringing at Alan’s complete and utter social ineptitude. Throughout the series you learn Alan’s behaviour, it doesn’t take one long to know when Alan has an agenda; he is so self-centred, immature and incredibly tactless that the viewer can read him like a book. It’s both amusing and toe-curlingly embarrassing to see Alan converse with people and deal with his many problems. All of the subtlety and character study is missing in the film. Alan is no longer a sad-man, a complete liability. He’s still cringe-worthy, particularly in scenes where he attempts to court a colleague, but none of the gags even scrape the surface of the programme’s brilliance. The gags are really quite tired. They’re predictable and rehashed, particularly scenes that initially appear melodramatic but are then abruptly interrupted by an action or one-liner like a needle scratching across vinyl. There’s also a genre-aware armed stand-off scene towards the end where the characters have ‘humourous’, flippant exchanges despite the immediate danger in the style of In Bruges, only not funny. More than once I found myself sighing with disappointment and embarrassment at just how off-the-mark and rehashed the comedy was. Much like the film’s premise, Coogan’s performance is overblown – he needed to reel himself in. There would be flashes of classic Partridge, but generally both the dialogue and slapstick comedy just died. I commend Coogan’s skill for miming perfectly to Roachford’s Cuddly Toy, but it just wasn’t as funny as his air bass performance of Gary Numan’s Music for Chameleons in the second series. Also, Alan doesn’t look right in the film. His appearance is still demonstrably uncool, but he isn’t as awfully square and repellent as he was in the series. If anything, Alan’s ageing process seems to be in reverse. The two principal characters of the programme, Lynn, Alan’s devoted and criminally underpaid secretary, and Michael, Alan’s good natured friend, seldom appear in the film. These characters were crucial in the series as they revealed many facets of Alan’s personality, exposing just how self-absorbed and manipulative he is whilst also showing how utterly dependent he is on their attention. We have the original team of Coogan and Iannucci, but it lacks almost every element that made the series so funny, eminently quotable and re-watchable. It shares very little in common with its televisual sibling, all Alpha Papa has is a caricature of a caricature and a thin, boring siege plot.